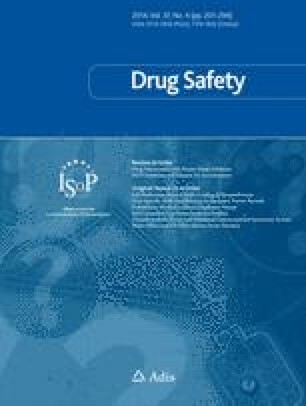 The renewed interest in macrolide antibacterials with expanded indications for clinical use, as well as their markedly increased usage, justifies the continuous search for new compounds designed to offer the patient not only enhanced bioavailability but also a reduced incidence of adverse effects. Macrolides are an old and well established class of antimicrobial agents that account for 10 to 15% of the worldwide oral antibiotic market. Macrolides are considered to be one of the safest anti-infective groups in clinical use, with severe adverse reactions being rare. Newer products with improved features have recently been discovered and developed, maintaining or significantly expanding the role of macrolides in the management of infection. This review deals with the tolerability of the clinically available macrolide antibacterials. With the exception of drug interactions, adverse effects have been analysed during the last 40 years in many thousands of adult and paediatric patients. Recently developed derivatives have been compared with the older compounds, and the expected and well assessed adverse effects have been set apart from those which are unusual, very rare or questionable. Gastrointestinal reactions represent the most frequent disturbance, occurring in 15 to 20% of patients on erythromycins and in 5% or fewer patients treated with some recently developed macrolide derivatives that seldom or never induce endogenous release of motilin, such as roxithromycin, clarithromycin, dirithromycin, azithromycin and rikamycin (rokitamycin). Except for troleandomycin and some erythromycins administered at high dose and for long periods of time, the hepatotoxic potential of macrolides, which rarely or never form nitrosoalkanes, is low for josamycin, midecamycin, miocamycin, flurithromycin, clarithromycin and roxithromycin; it is negligible or absent for spiramycin, rikamycin, dirithromycin and azithromycin. Transient deafness and allergic reactions to macrolide antibacterials are highly unusual and have definitely been shown to be more common following treatment with the erythromycins than with the recently developed 14-, 15- and 16-membered macrolides. There have been case reports in the literature of 51 patients during the last 30 years who experienced uncommon or dubious adverse effects after treatment with older compounds and in which there appears to be strong evidence of a causal relationship with the drug. Only 3 cases had an unfavourable outcome, and these were patients administered erythromycin lactobionate intravenously too rapidly or at high dose. Targets of these occasional reactions are generally the heart, liver and central nervous system. Other unusual organ pathologies are related to immunomediated disorders more than to primary parenchymal toxicity, or to the rarely serious consequences of macrolide-induced alterations in intestinal microflora. Physicians should be alerted to the possibility of unusual toxicity that could also emerge in the future from the new and recently developed macrolide antibacterials, coinciding with their expanded clinical use worldwide.